Join The Great British Bake Off judges, Mary Berry and Paul Hollywood as they showcase some of their favourite Easter recipes. In a step by step guide they’ll show you to make the classics: Hot Cross Buns and Simmel Cake. And for those wanting to branch out this Easter, Mary and Paul recommend chocolate custard tarts and lemon meringue nests. 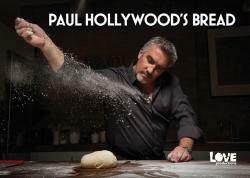 In this brand new series for BBC2, Paul Hollywood, artisan baker and one of Britain's leading bread experts teaches us everything we need to know about making bread. This intimate two-part documentary tells the story of much-loved cookery writer and broadcaster Mary Berry. 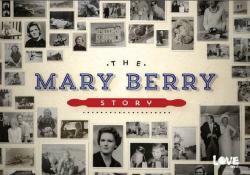 This intimate two-part documentary tells the story of much-loved cookery writer and broadcaster Mary Berry. Mary shares personal milestones in her life, introduces us to some of her favourite recipes and talks candidly about the highs and lows of a lifetime spent teaching the nation to cook. Mary shares personal milestones in her life, introduces us to some of her favourite recipes and talks candidly about the highs and lows of a lifetime spent teaching the nation to cook. In the first programme Mary charts her life from a childhood in war torn Bath, through her polio scarred school days and first domestic science lessons, to her early career in the 1960’s. For four nights Comic Relief will be taking over The Great British Bake Off tent. 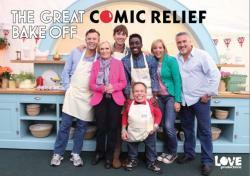 For four nights Comic Relief will be taking over the Great British Bake Off tent. Each night, four well known personalities of varying baking ability will bid to win the title of Comic Relief Star Baker. Mel Giedroyc hosts proceedings, Mary Berry and Paul Hollywood judge the bakes, and Lorraine Pascale goes to Ghana to see how Comic Relief really can change lives.